Providing you the best range of model of marcet boiler and model of locomotive boiler with effective & timely delivery. 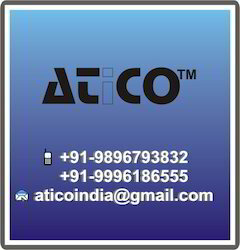 Advanced Technocracy Inc. is Manufacturer, Exporter & Supplier of Model Of Marcet Boiler..
A stove heated working model, givingpressureof45lbs. per square inch. The vessel is about 20 cm in diameter and about 45 cm high. The unit is complete with lever action safety valve, thermometer jacket, pressure gauge, a set of slotted weights and tripod stand. Advanced Technocracy Inc. is Manufacturer, Exporter & Supplier of Model Of Locomotive Boller. The model is especially designed to understand the working of a locomotive steam boiler. The steel sheel is of about 20 em. dia and 60 em. in length. The fire box is provided with a door and grate. The dissected barrel shows its inside view. Hot gases after pas sign through the fire tubes enter the smoke box with a door, nozzle and the blast pipe. The model is approximately 100 em. in length, 45em. high and 35 em. in breadth and Is complete with whistle, steam dome, safety valve, check valve, steam regulator water and steam gauges. Looking for Heat Engine Boiler Models ?